As a user of Microsoft Dynamics 365 or CRM you are always looking to improve your skills, efficiency and use of this valuable business technology solution. 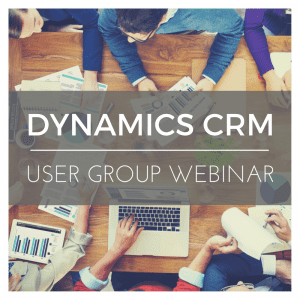 In Ledgeview’s monthly Dynamics CRM User Group 30 minute webinars, Dynamics experts will answer your submitted questions. For example, how to use specific functionality within Dynamics 365/CRM (“How Do I…”) but also provide insight around specific features each month! Your questions can range from very basic to very complex – bring them on! This month’s featured topic is “Chat Capabilities with Cafe X” which is a very cool new feature in Dynamics 365 Portals! These webinars are free and you do not need to be a customer of Ledgeview Partners to participate! So if you are in sales, marketing, service, management, an administrator, or any Microsoft Dynamics 365/CRM user sign up today to attend. If you cannot attend the live session, each session is recorded and we will send you a link to access the recording on-demand. Go ahead and register – not only are they super educational, they will make you a rock star when you give these tips to other users!